Irish Stout Homebrew Part 3: Tasting! This is really the best part–tasting your creation. The verdict? It tastes okay–after 2 weeks it was mostly just hops. 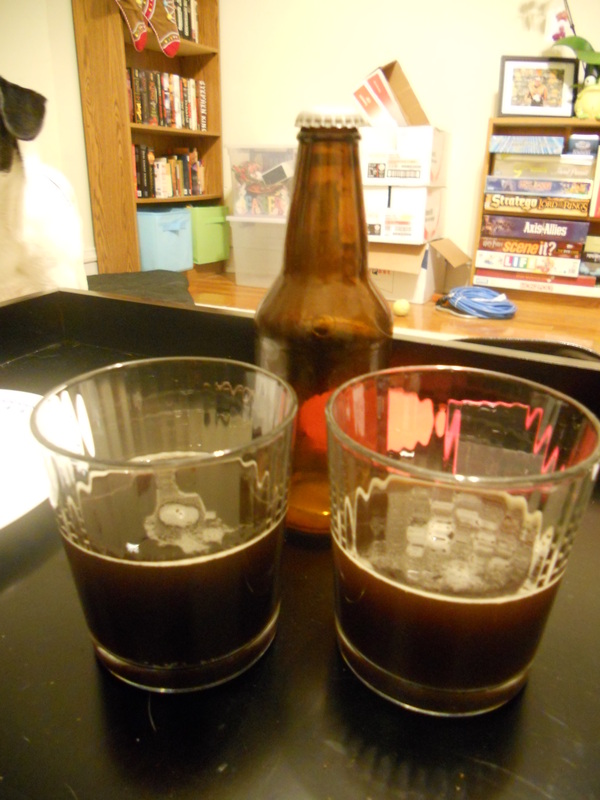 After 4 weeks though, we got quite a bit more of the malt flavor and started to taste more like a stout. On a scale of 1 to 5 pints, 5 being the best freakin’ homebrew I’ve ever had, and 1 being “Dear God we should give up now and pretend this never happened”, I give this attempt a 2.5, rounded up to 3. 🙂 We didn’t screw up royally-we did in fact succeed in making beer. The beer is the color it’s supposed to be. It’s just a little too hoppy and not enough malty for a stout.